Offering customers Fun Casino Hire, Race Nights, Mobile Discos, Photo Booth Hire and Event Props that are second to none in all aspects. Centrally located near Loughborough within the East Midlands and having close links to the Leicester, Derby, Nottingham and Birmingham road network means we can offer an almost nationwide coverage for most of our services. Our comprehensive horse racing events prove to be the winning ticket!! 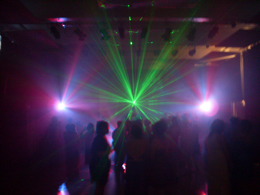 We offer various prom packages to suit most budgets, with dj's that play the music your students want to hear. Quiz Nights & Fun Bingo!! Fully packaged quiz nights, can be tailored made and corporate branded. Fun bingo comes complete with all software and tickets. Professionally presented on a large screen. 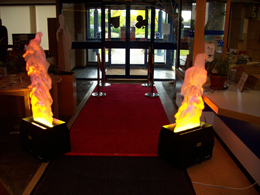 We offer individual services, money saving packages and complete event hosting to suit most budgets. Whether you are getting married, having a big birthday bash, Christmas party, raising money for charity or need that something special for a corporate event. With special effects ranging from our Giant Flame Lights through to mood lighting or our impressive Twinkling Dance Floor, we can make your selected venue shine!! Our all in one combined entertainment packages give you even greater discounts, call or email now for a free no obligation quote and impartial advice. Large or small, whether corporate or private, we have the right mix of professional entertainment to suit.